A common denominator of Earl Klugh, Bob James or Al Turner is drummer Ron Otis. You find him in addition to on recordings of Kim Scott, Lin Rountree, Brian O’Neal, Justin Young, Dave McMurray, Alexander Zonjic, Al McKenzie, Charles Greene, Randy Scott and more. 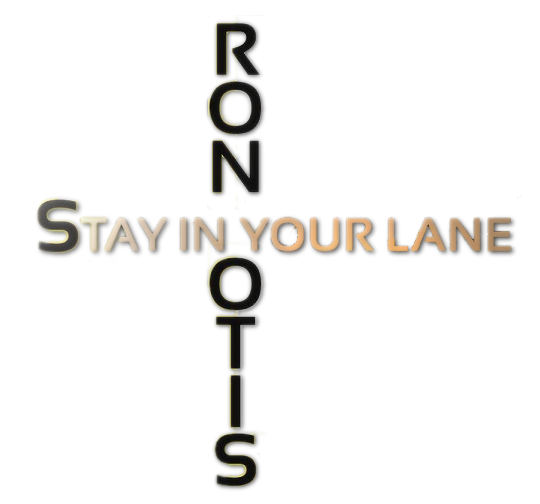 After his debut album Upfront (2009), Stay In Your Lane (2017) is his sophomore album. The album comprises nine musical works, shaped by alternating teams of musicians, in which drummer Ron Otis is the common factor and style-forming element. Low Beat is a creation by pianist Charles Scales, who together with Ron and bassist Al Turner forms a punchy trio. The ground patterns are layered by Charles with a signature clavinet part on which he expands his spacious piano excursion. The theme accelerates in a staccato tempo, a great basis for Ron, to elaborate a filigree structure on the various percussion ensembles. The title song was written in a collaboration by Ron, Dana Davis and Nelson Rangell, who performs the saxophone on this piece as lead instrument and fills it with life through his emotional phrasing. Kiss Me takes another direction to R&B and urban music with Beth Griffith Manley as lead and background vocalist, bassist Theo Otis, Joseph Amp Fiddler on keys and more. Miles Like features Rayse Biggs on trumpet conjuring the spirit of Miles Davis. Also in the ring of fusion jazz fire are the avant-gardists Wayne Gerrard on distorted guitar, Luis Resto on keys, bass player Al Turner, percussionist Romel Alexander and of course Ron on drums. Singer Artema Byrd has a characteristic timbre sounding like a mixture of Maysa and Anastacia. Peace is her very own cooperation with Ron Otis, a R&B ballad of a special kind. Out of Pocket is the second tune settled in the realm of contemporary jazz or jazz fusion. Composers are the same like on Stay In Your Lane. Protagonists of this jazz event are Tom Schuman on keys, Nelson Rangell on sax, guitarist Darrell Dixon, Dane Davis on additional keys and Ron Otis on drums, who uses the opportunity for an extensive drum solo. I Want You is a song written by Leon Ware and Arthur Ross originally performed by soul legend Marvin Gaye in 1976. After Marvin's tragic death Leon has interpreted this song on several occasions until he left stage forever. These giants of intimacy are followed by singer Jason Hill who tries to fill out the huge steps of his predecessors. Brainstorm introduces with Baku, Azerbaijan born violinist Harry Hovakimian a new vibe into the album. This tune was composed by keyboardist Brian O'Neal who establishes the perfect musical environment for this jazz fusion piece in the tradition of Jean-Luc Ponty, by the way the first jazz violinist incorporating electronic effects in his violin play. If you like some raw funk than listen to That Feels Good. To sum it up, very big cinema. Actors of this final highlight are saxophonist Skip Pruitt, the Woodward Horns, bassist Theo Otis, keyboardist Brian "Bean" O'Neil, guitarist Audi Jeter and yours truly drummer Ron Otis. An album about which you can write a lot speaks for itself. 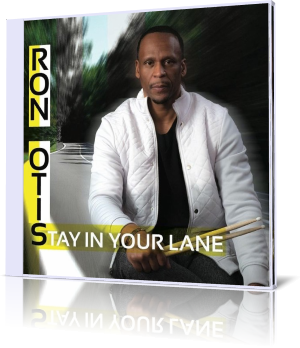 Drummer and writer Ron Otis presents with Stay In Your Lane a tremendous bandwidth of musical creativity, which is unique in its diversity and yet combines high professionalism at different levels.